In this post, we examined 5 of the best-selling all-season tires. All season tires are tires that are designed to perform well in all road conditions, whether it be light snow, ice, rain or dry. All season tires are different from snow tires in that the tread compound on all season tires can get to hard in low temperatures, making them have less contact with the road (Source). These tires are composed of a rubber compound and tread pattern that’s designed to perform well in most weather conditions, but they don’t operate well at the extremes where a dedicated winter tire or summer tire would be more beneficial (Source). When in the market for an all season tire, experts suggest you use these tires for general purpose driving and not rely on them for extreme winter or wet weather conditions (Source). In this article, we look at 5 traditional brand name all weather tires. 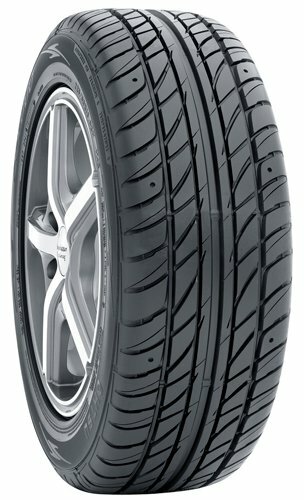 The first tire we looked at is the Ohtsu FP7000 all season radial. This tire features a non-directional tread pattern, which offers a smooth ride and decent water removal to prevent hydroplaning. Buyers mentioned these tires gave a quiet ride and performed reasonably well in light snow and rain conditions. 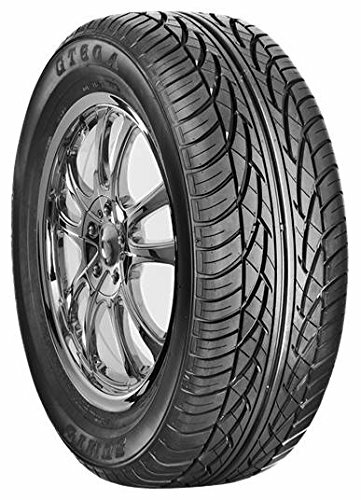 Cooper is a well-known tire manufacturer and their Starfire RS-C all season radial tires are designed to provide the best of performance and traction. These tires, like many all season radials, are built with long wear in mind, which makes them a good value. Buyers say these tires have a tread pattern that provides good grip in wet weather and, when compared to other budget tires, they have an attractive and sporty look. Another big name in tire manufacturing is Goodyear and they make an all season tire called the Eagle RS. This tire features shoulder tread blocks for better grip when cornering. The wide lateral grooves provide good wet weather driving and make it less likely you’ll hydroplane. These tires come highly rated from most buyers and some say they’ve ordered the same model when previous tires have worn out. The Milestar MS932, while not as well known as the bigger name brands, is a good tire for the price. 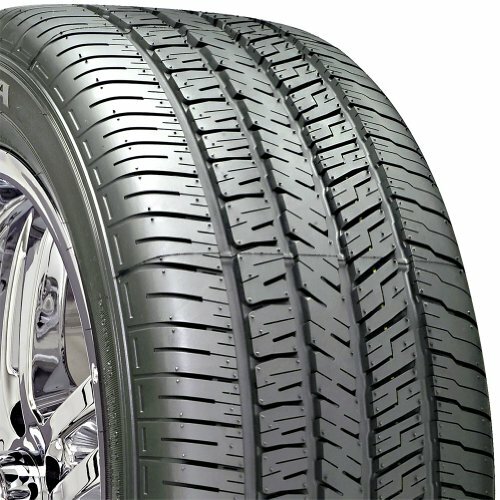 These tires provide a smooth, quiet ride and perform adequately in most weather conditions. Most buyers agree that if price is a factor, these are great performance/value tires for your vehicle. Last up are the Sumic GT all season radial tires. These are among the least expensive tires we looked at, but don’t let the price dissuade you. These are good quality tires with a symmetrical 4-rib tread pattern that offers a quiet, stable ride with plenty of grip.The center channel in the tread does a good job of whisking water away to prevent hydroplaning. While not a “big name” brand tire, these perform just as well or better than other tires at this price point. The all-season tire offered by Sumic is well-made, durable, and affordable. Users love the price and the quality of the tires, but some do note that they don’t handle ice well. The Sumic all-season radial tire features a section width of 195 millimeters, an aspect ratio of 65, and symmetrical 4-Rib pattern, which is great because it provides excellent stability. Another great thing about this product is that it has a tread wear indicator, so you’ll know when it’s time to get a new one. In addition to this, the Sumic GT-A tire has advanced tread compound for enhanced water performance, tread block sipping, extended lateral grooves for water evacuation, and circumferential center channel. A buyer comments that the Sumic all-season radial tires perform well on wet roads and that they steer easily. He adds that the tires don’t make a lot of noise and that he highly recommends Sumic as one of the best all-season tires. Another user states that the tire has an excellent grip and that they arrived quickly. A purchaser also notes that he is very pleased with the performance and quality of the tires and that they are well-balanced. He shares that the package arrived well-packed and that there were no issues. However, some customers have noted that the tires don’t handle snow or rain very well and that they wear too quickly for their liking. If you’re looking for all-season tires of good quality and affordable price, you might take a look at these tires offered by Milestar. Users love that the tires have a great traction, but some do note that they are slightly loud. The Milestar all-season radial tires feature a tread wear indicator to show you when it’s time to change tires, a “V” speed rating, a tire aspect ratio of 55, and a section width of 215 millimeters. The tires measure 26.3” x 26.3” x 8.5”, and they have a load index rating of 98. Moreover, these all-season tires have a 40.000-mile tread warranty. As a whole, users have a high opinion of the Milestar all-season radial tires, and they praise their performance and durability. A reviewer comments that the tires behave well on snow and that they feel solid and high-quality. He adds that he didn’t notice a change in his millage and that they reduce road noise. A purchaser states that the tires performed better than he initially expected and that highly recommends them as one of the best all-season tires for snow and ice. A user also notes that the tires handle mud and rain very well and that he would gladly buy them again. However, some customers have noted that the tires are too loud for their liking and that mileage dropped after they installed them. 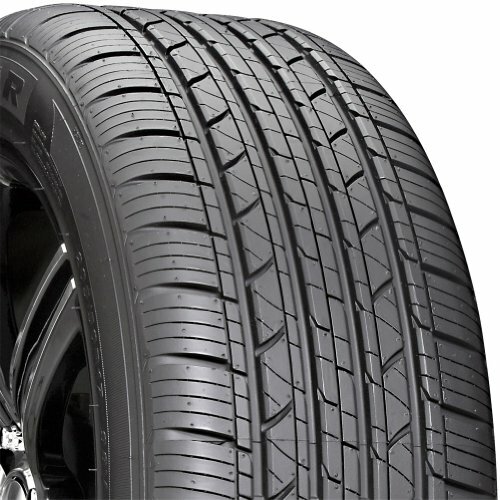 If you’re looking for high-quality all-season tires, you might take a look at these radial tires offered by Goodyear. Users love the price and the lack of noise, but some do note that it’s not good for rainy weather. The Goodyear all-season radial tires feature an aggressive shoulder tread block, which is great because it increases cornering grip, and asymmetric constructions for a quality ride. Another fantastic thing about this product is that it has wide lateral grooves, which improve tracking in wet weather. These all-season tires have a sectional width of 205 millimeters, an aspect ratio of 55, a load index of 89, and a speed rating H.
A happy purchaser mentions that the Goodyear tires have an excellent grip in all weather conditions and that the noise is minimal. He adds that he hadn’t had issues even in light snow. Another user highly recommends them as the best all-season tires. He also shares that they are perfect for 2013 Toyota Corolla and that the tires are well-balanced. A purchaser states that the tires fit his 2010 Honda Civic and that he hasn’t had any issues so far. He adds that they arrived promptly and in excellent condition. However, some customers have noted that the Goodyear tires slip in the rain and they don’t recommend them for bad weather. This all-season radial tire offered by Cooper is well-made, well-balanced and provides excellent traction. Users love the design and the price, but some do note that the tire is not what they expected. The Cooper radial tire measures 25.7” x 25.7” x 8.1” with 205 mm section width, a load index rating of 92, and aspect ratio of 60. It’s designed with special performance tread compound whose purpose is to provide traction and handling. In addition to this, the tire has four wide circumferential grooves, which is great for slippery or wet roads and low-rolling resistance. Moreover, the Cooper all-season tires have variable pitch tread for a quiet run at high speed, and a tread wear indicator. As a whole, buyers have a favorable opinion regarding Cooper all-season radial tires, and they don’t have any significant complaints. A user mentions that the tires arrived quickly and in excellent condition and that he is pleased by their performance. He adds that these Starfire tires provide a smooth ride and that he highly recommends them as one of the best all-season tires. Another reviewer remarks that the tires’ performance surpassed his expectation and that you can hardly find a better bargain. 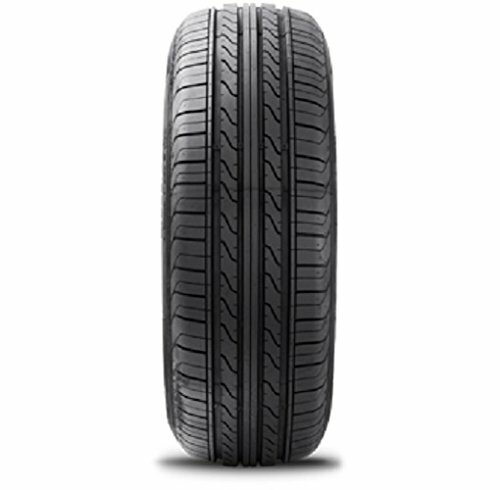 A user also notes that the tires run quietly and that they were an excellent fit for his car. If you’re looking for affordable all-season tires, you might take a look at these tires offered by Ohtsu. Users love the price and the tread wear indicator, but some do note that the tires are not long-lasting. The Ohtsu all-season tire measures 24.6” x 24.6” x 8.4”, and it has an aspect ratio of 45, load index of 87, and 215-mm section width. Another great thing about this product is the non-directional tread design, which is perfect for all-season smooth rides and the multiple rotation patterns, which reduce irregular wear. What’s more this tire has a variable shoulder tread block to reduce noise, high volume circumferential grooves for improved performance in wet weather, and dual steel belts for rigidity and secure grip. A purchaser states that the Ohtsu all-season tires are very responsive and that they are well-balanced. He adds that they fit his Mini Cooper well and that he highly recommends them to anyone looking for cheap all-season tires. Another reviewer mentions that the tires arrived quickly and in excellent condition and that they’re quiet and smooth on the highway. A user also shares that the expected the Ohtsu radial tires to wear quickly, but they’re still in good condition after a year. He states that they provide adequate traction on wet roads. However, some customers have noted that while the tires perform exceptionally, they don’t last more than a couple of months. It is easy to buy car tires. However, it is not always easy to find the right tires for your car. If you get wrong ones, it can have a bad impact on the way your car performs and tackles different types of weather. 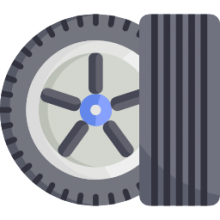 Car tires generally are to be replaced once in three-four years. Here you can find information on how to choose the right ones for your car. Buying all-season tires are easier and cheaper, that’s why most people buy them instead of buying one set of tires for the summer and another for winter. All-season type of car tires deliver a well-rounded, good performance, however, they are not outstanding in any way. In their turn, summer tires provide on handling and wet/dry braking, but this type of tires has dismal snow traction. And by contrast, winter tires provide outstanding snow traction but have poor braking capability on cleared roads. There is a number of performances in each car tire category. When vehicles leave the factory, most of them have all season tires. The main purpose for this is providing a quiet ride, fuel economy and good tread life. All season tires provide versatile performance and are developed in a way to perform in different conditions including light winter driving and wet roads. These tires are designed to provide a combination of benefits both from winter and summer tires. All-season tires have S- and T-speed ratings. Famous for long mileage and good all-weather grip, these are usually fit to mainstream SUVs and cars. Performance all-season tires have H- and V-speed rating on most newer cars, especially the ones with upgraded wheels or enthusiast appeal. They tend to have much better cornering grip than T- and S-speed rated tires, but performance tires do not wear long. Ultra-high-performance summer and all-season tires typically have Y-, W-, and ZR-speed ratings for performance sedans and sports cars. It can be challenging to differentiate between summer and all-season tires and it may require visiting a manufacturer’s website for the details. One clue for telling them apart is that summer tires do not have a MUD & Snow (M&S) designation on their sidewall. When choosing between winter or snow tires and all-season tires, much depends on where you live and in what conditions you drive. If slick, icy roads are not an annual ordeal in your country/region, all season tires may be the best choice for you. But if there is a period of time when icy roads are a common issue, mounting winter tires are an important safety measure which could save your life. If you are mounting winter tires, it is necessary that you install a full set, as changing out only the front tires can increase the likelihood that the unchanged tires will slip. Similarly, changing out only the rear wheels could make the front tires lose traction thus making it impossible to steer the vehicle. And do not forget to re-mount back those all season tires when the season is over. Winter tires are unquestionably superior in winter conditions, but they will wear down faster on dry, warm pavement. First, you need to study your owner’s manual or read the placard on the jamb of the driver’s side door to find what tire measurements are recommended. The label will look this way: P215/60R16 94T. The first part—P215/60R16—refers to various size measurements of the tire, such as diameter and width. The 94 shows the load index, in other words how much weight can be supported by each tire. Finally, the T stands for the speed rating, which is maximum speed of the tire-related to the load index. You need to match size measurements of the tire, but you still have the flexibility of going higher with the speed rating and load index.